Every once in a while I check the blog statistics for the searches that have brought visitors here. Most of them are more or less concealed versions of “how can I grab the password of others/my ex partner/my children/friends”, which comes as no surprise. Today I saw one search expression that I used as inspiration for this post: “Good Wireshark columns to have”. So let’s talk about them. It’s the only reliable way to sort all packets back to the order of how they were captured. If you think you can also achieve this by a relative or absolute time column as well, you’d be correct for most cases, but not all, e.g. when you have out-of-order arrivals on the capture cards. 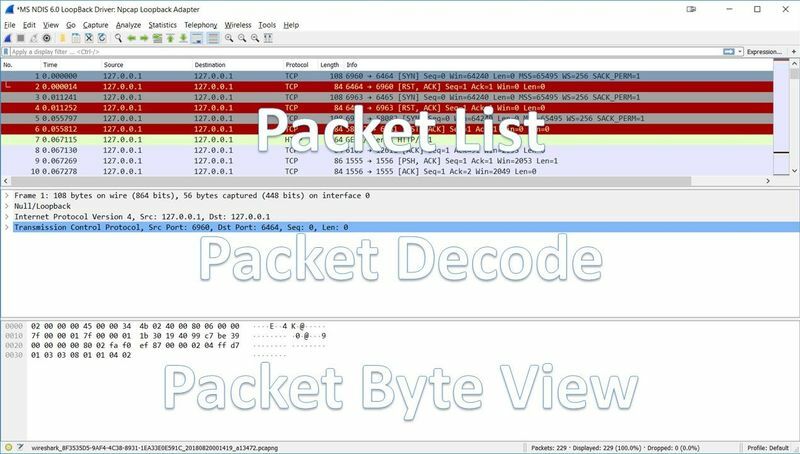 The reason why the correct order of packets is important is quite simple: the Wireshark TCP expert module processes packets in order of arrival, so if you can’t reconstruct the packet order you might get confused why it flags a packet as retransmission or out-of-order. Seconds Since Previous Displayed Packet – this will tell you the time elapsed between the current packet and it’s predecessor. It’s also called “Delta Time Displayed”, because it doesn’t add up like the “Relative Time” does – it shows measurements between two packets, no more, no less. Very important: there’s also a “Seconds Since Previous Captured Packet”, which seems to show the same values in most cases – until you apply a filter that hides the previous packet. In that situation the “captured” time value will stay the same, while the “displayed” time value will be adjusted to show the time from the new visible predecessor. I personally never use this one – I always use “Since Previous Displayed Packet”. 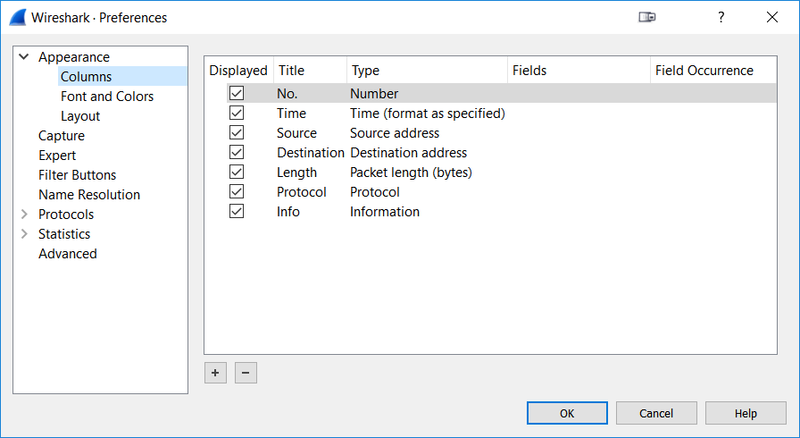 Date and Time of Day – this will show the absolute date and time of each packet, which is useful when you need to find packets based on a specific time something happened. The most important thing to know about this format is that the date and time may show unexpected values based on where the capture was taken and on which workstation you open the capture file. Now let’s look at the precision settings in the same menu, which is set to “Automatic (from capture file)”. This part defines how granular the time values are displayed. Seconds are much to imprecise for most tasks, so you usually want Milliseconds and Microseconds, too. In general, the setting “Automatic (from capture file)” is fine, as it determines what precision the capture can provide and shows the time stamps with the same precision. This usually means that you won’t see Nanoseconds, because few capture devices can actually provide that kind of precision (in case you wonder: FPGA based capture cards and special devices like the ProfiShark TAP do). Pro Tip: reading a time column in Wireshark takes some practice, but with a little training you can quickly tell Milli-, Micro- and Nanoseconds apart. If you see a time like 0.001166563 the only thing most people can specify right away are the seconds (because they are separated by a dot). Train your eye to split the part behind the dot into groups of three digits: 001166563. The first group are Milliseconds, the second is Microseconds, and the last are Nanoseconds. Pro Tip: you can use custom columns to show addresses other than those present in a higher layer. We’ll get to that later in this post in the Custom Column paragraph. The length column tells you the size of each packet. The only thing special here is that in almost all capture files you’re missing the Ethernet Frame Check Sequence (FCS, a CRC32 check sum). So if you see packet sizes of 60 bytes there were in fact 64 byte. Same for 1514 byte sized packets – there had been 1518 bytes on the wire. Some capture devices do capture the FCS, but that’s rare and easy to identify because you’ll see no packet less than 64 bytes. If you want Wireshark to display different things about the protocol it found at the top layer there’s just one way to go: grab your C compiler and the source code of Wireshark, and change the code. Or open a feature request, and maybe some nice developer will see that your request is useful and will implement it at some point in time. In can take a long time though. To add a column, simply click the “+” button at the bottom of the column list. Don’t wonder if there’s no additional settings are for the column like it used to in the 1.x versions of Wireshark – now you’ll simply get an additional row titled “New Column” which you can then modify to your liking. This is done by clicking on the title cell and type cell, sometimes repeatedly until it becomes editable. There is a number of predefined column types you can choose from, depending on what values you want to see in your packet list pane. The selection of predefined columns is pretty good, but there’s often something you want to see in a column that doesn’t exist in the list of column types. For that, Wireshark offers “custom” columns. 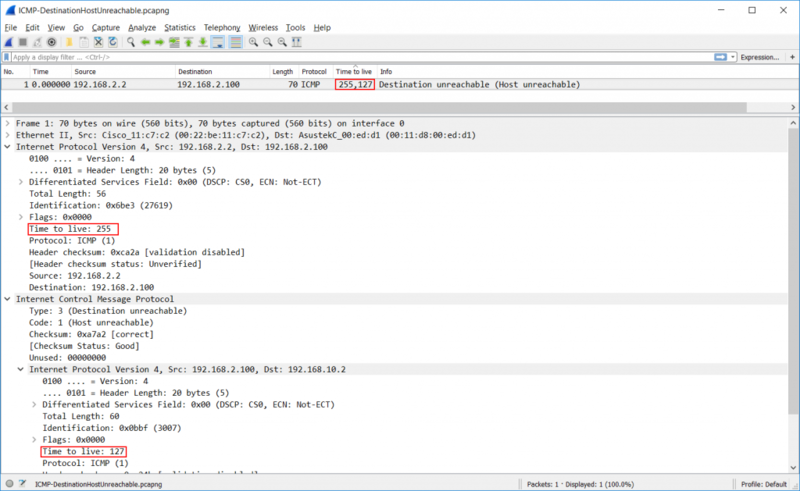 Sometimes Wireshark users are confused why a column doesn’t show values – keep in mind that when Wireshark doesn’t find the field of the column in a packet, it will not display anything. So in the case of the “http.host” column only HTTP packets with a host field will have a value present in the according column. Pro Tip: use the “Resize packet list columns” button to help you resize columns and get to the new columns on the right, because it’ll also update the horizontal scrollbar (it’s the rightmost button on the toolbar). Pro Tip: you can’t use Field Occurrence on standard column definitions. They’ll turn into custom columns if you try, and you need to fill in the filter value for the field if you want to use it that way. There’s at least one other thing custom columns are very useful for: if you need to process data in a way that Wireshark can’t, e.g. creating a graph of IP TTL values. 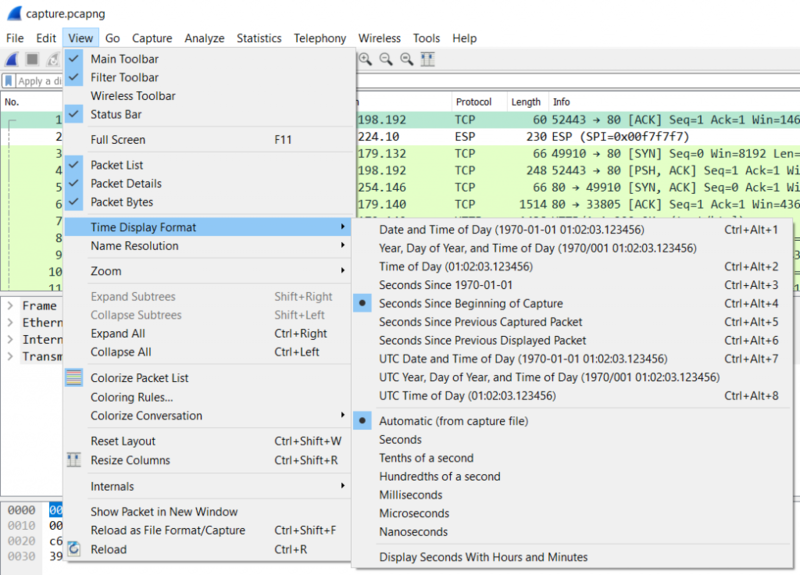 What you could do is use Excel or any other spreadsheet application for that kind of thing, but first you need to get the data out of Wireshark – and you can do that for any field values by using custom columns. Just add a custom column for the data you need, and then export your packet list to a comma separated value text file via the “File” -> “Export Packet Dissections” (a bit misleading, as you’re going to export the packet column data) -> “As CSV”. Just make sure that you uncheck the “Packet Details” checkbox, because otherwise you’ll have more than just the column values you want. After that, import the CSV file into your spreadsheet application and do whatever you want to do with the data. One of the coolest use cases for this was when years ago my team member Landi wanted to show that there was buffer bloat happening on a Cisco switch and he exported the bytes in flight to show that there was packet loss whenever the values went up past 100.000 bytes in flight – because that’s how big the buffer was, dropping packets when more bytes came in than it could hold. It was a perfect saw-tooth graph in Excel. Delta Time Displayed, because I need to be able to see the time that passed between packets. In most cases that means something like “time between request from the client, and the response from the server”. Keep in mind that you need to isolate conversations via filter first. This column is absolutely critical to have if you do performance analysis or troubleshooting. Other Wireshark gurus have a lot more columns than I do, mostly depending on what tasks they have to perform. If you do malware analysis like Brad Duncan from malware-traffic-analysis.net you probably need columns like http.host or URLs called, and remove No, length and protocol columns instead (for more on this check out his blog post that I only discovered an hour after publishing this article. duh!). For SMB analysis you’d go for columns telling you about SMB file access operations and error codes. Same for VoIP. TCP analysts often have columns telling them how long it took to ACK a packet, the next expected sequence number, or how many bytes in flight a TCP conversation has. My friend Hansang has a column set that boggles my mind when I see it, with about half a dozen of additional TCP values in custom columns. I prefer calculating them in my head and keeping them in mind, which may sound weird, but that’s how I work. I also have all my time columns on the right, because that’s what I’m used to (from my Network General Sniffer days). And in the end, as Chris Greer put it in his great “TCP Fundamentals” presentation at Sharkfest 2018: you can’t just copy a profile (including the column settings) from somebody else, because everybody likes/needs a different set of columns for the tasks he wants to perform with Wireshark. But if you know what the columns are, you can build your own. And I hope this post helped a little with that. To get some more ideas, check out the Wireshark profiles repository. But don’t forget: you need to setup Wireshark your way, and your way only. Very informative post Jasper. Column hiding is my go-to technique for column-rich profiles. Hi Todd, thanks! You’re welcome! • Date and Time of Day: 1970-01-01 01:02:03.123456 The absolute date and time of the day when the packet was captured. • Time of Day: 01:02:03.123456 The absolute time of the day when the packet was captured. • Seconds Since Beginning of Capture: 123.123456 The time relative to the start of the capture file or the first “Time Reference” before this packet (see Section 6.11.1, “Packet time referencing”). • Seconds Since Previous Captured Packet: 1.123456 The time relative to the previous captured packet. • Seconds Since Previous Displayed Packet: 1.123456 The time relative to the previous displayed packet. • Seconds Since Epoch (1970-01-01): 1234567890.123456 The time relative to epoch (midnight UTC of January 1, 1970). Awesome thank you so much.